Still suffering no internet connection at home, and my plans to get more of my edits setup for downloads has hit a slight snag. I use MapManager.NET to tell me what files go with what maps, it's worked well for me the last few years... but according to my new system, something didn't survive the 6 months down. Can anybody link me to a download of that please? Re: Hole in the cloud - HELP! Miscrosoft wrote: If you're not relying on Windows Update as the source for installing the .NET Framework 3.5, you must ensure to strictly use sources from the same corresponding Windows operating system version. 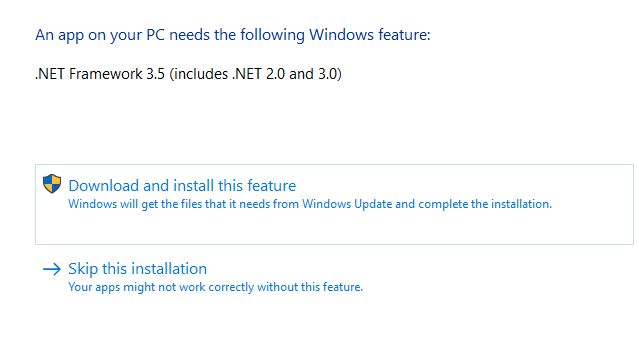 Using a source path that doesn't correspond to the same version of Windows won't prevent a mismatched version of .NET Framework 3.5 from being installed. However, this will cause the system to be in an unsupported and unserviceable state. Which means you need to say which OS version you need a link for. OjitroC wrote: Which means you need to say which OS version you need a link for. Windows 10, though it may no longer be an issue. Got internet at home again about 5 minutes ago.